Courses offered at RAIRC meet all the requirements of the Florida Real Estate Commission (FREC), as well as providing you with a solid understanding of the practices of the real estate industry. 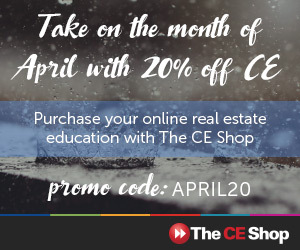 Members of the REALTORS® Association of Indian River County will receive discounts on most courses. RAIRC provides its members with exclusive access to a wide range of professional development seminars throughout the year. The Professional Development Committee organizes high quality education programs. These seminars are one of most beneficial of all member benefits. It is very important to keep all your continuing education letters to validate your coursework. These letters will tell you the course names and how many credits you received. If the credits did not get transmitted successfully to DBPR, then you will be able to use the letters to verify your attendance. For questions, please call the Customer Contact Center at 850.487.1395 Monday-Friday, 8 a.m. - 6 p.m. and Saturday 10 a.m. - 2 p.m. EST. 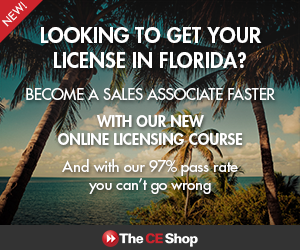 Then there's a sales associate 45-hour post-license course to be completed within the licensee’s first renewal cycle. This cycle ends on your license expiration date (located at the bottom of your license.) After you've completed the sales associate post-license course and have been licensed for at least 24 months, you can take the state's 72-hour broker pre-license course, its final exam, and then the state's real estate broker license exam. Once you pass the state exam, there's a broker 60-hour post-license course(s) (one or more broker post licensing courses, which total at least 60 classroom hours) to be completed within the licensee’s first renewal cycle. This cycle ends on your license expiration date (located at the bottom of your license. Hold a bachelor's degree in a business-related subject (such as real estate, finance, accounting, business administration, or its equivalent) and hold a valid broker's license in this state. Hold a bachelor's degree, have extensive real estate experience (as defined by rule) and hold a valid broker's license in this state.